Get ready for the fur to fly in this wild and crazy matching game! A flock of friendly birds is out for revenge after a gang of cats led by a portly feline with a weakness for hamburgers steals their chicks. 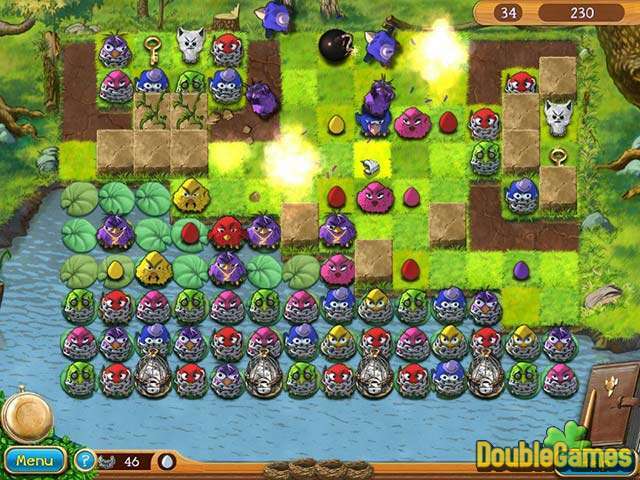 Match clusters of birds to clear a path to the hatchlings and reclaim what belongs to your finely feathered friends. Along the way, surround pesky cats to remove them from the game board, blow up the walls that stand in your way, and make big matches to earn powerups that can save the day! Just remember to think strategically, as each move you make without creating a match results in more birds hatching, making it that much harder to achieve your goals. 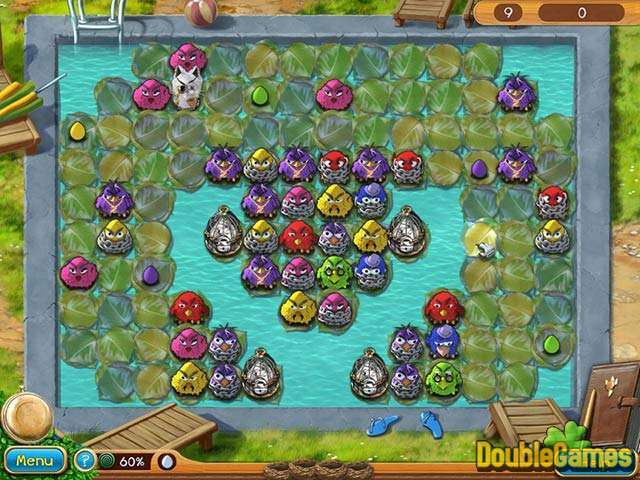 With dozens of challenging levels, colorful graphics, and a storyline that will have you squawking with laughter, Claws &. Feathers will provide hours matching fun! 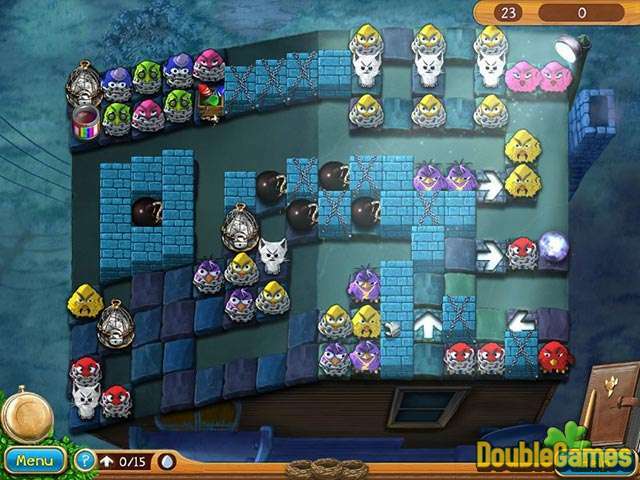 Title - Claws and Feathers Game Download for PC and Mac Description - Become acquainted with Claws and Feathers, a Puzzle game produced by Alawar Entertainment. Get ready for the fur to fly in this wild and crazy matching game!